WHATS IMPORTANT? PRICE? QUALITY SERVICE? RELIABILITY? QUALIFIED ENGINEERS? FULL REPORTING? 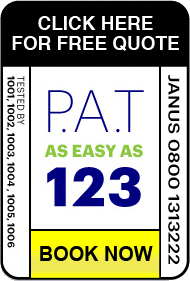 Contact us for your free quote on 0800 1313222, or use the form below – and we’ll get back to you within 1 hour*. What’s Important To You?- Price? Many companies offer quotations depending on only the number of items, we don’t believe that this is a reliable way to do things, this shows that the service provided is a ONE PRICE ONE SERVICE attitude.